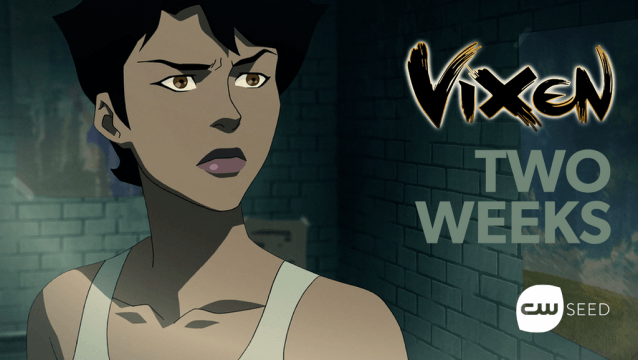 In a couple of weeks, CW Seed will premiere the first of six short animated webisodes detailing the adventures of DC Comics superheroine, Vixen. In anticipation of that, the network’s official Twitter account has posted this brand new image from the show, giving us another look at the character as her civilian persona of Mari McCabe. Actress Megalyn Echikunwoke (CSI Miami, The 4400) will provide the voice for McCabe, and should the character ever crossover to Arrow or The Flash – which is exactly what’s rumored to be on the cards – she’ll also portray her in live action. Before that happens though, both Grant Gustin (Barry Allen) and Stephen Amell (Oliver Queen) will voice animated versions of their characters on the Vixen webseries. Producer Marc Guggenheim has previously confirmed that Vixen takes place around S03E15/S03E16 of Arrow, and will serve as an origin story for the character as she learns to harness her beast-like powers on the streets of Detroit. The series will consist of six webisodes, totaling a runtime of 30 minutes, and is set to premiere on August 25th on CW Seed. Will you be tuning in? Let us know in the comments section below.